7 May 1988 was, as I remember it, through the alcohol infused delight; a sunny day. The Pink Panther and The Skeleton had been turfed out earlier for fighting amongst themselves and as the rest of the Sunderland AFC rank and file departed Millmoor we did so in the sure knowledge that we had said a final farewell to the third division – or so we thought. We clearly never wanted to be there in the first place but after a rocky start we motored on and won the division at a canter. 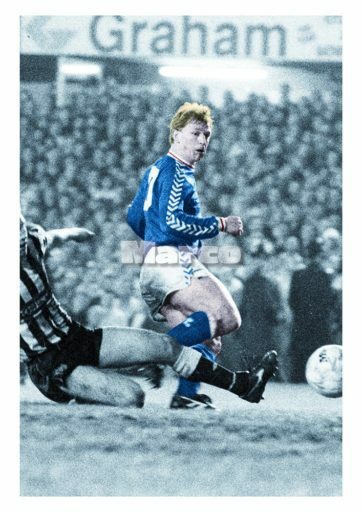 The catalyst for our promotion was the signing of Marco Gabbiadini who became an instant star at Roker Park, although his time with us started badly with a 0 v 2 defeat at home against Chester City played out in front of just 12,760 non plussed SAFC fans. They were the rank and file and fortunately I was amongst them. After that game, our 9th league game of the season we lay 12th, our lowest ever position in the professional ranks. We won 3 out of our first 4 games and then didnt win in 5. Marco clicked, we won 7 off the belt and there endeth the lesson as we swept aside all and sundry and we ended up enjoying the campaign immensely. I was then 27, I’m now 57 and I wonder where 30 years has gone. As we look forward to our second campaign at this level how will we do? Who will be our newly found hero? Is there another Marco waiting in the wings? Football of course has changed, although Sunderland AFC remains, for now, a similar animal to 30 years ago. As Nik Wiseman once said “It’s the hope I cant stand” and how right he was. From the depths of utter despair and the rubbish we watched last year Ellis Short has said farewell and in doing so left us a parting gift; paying off the clubs debt and allowing the new regime to bank whats left of the Sky parachute money, although the price tag for Donald, our new chairman and owner, for buying the club will have to be met from some of that income. Hopefully with the high wage earners departing at a rate of knots the financial position will stabalise and the vast array of new recruits will settle in well. This campaign is a step into the unknown. Whilst the last decade has been spent almost entirely in the Premier League our plummet has been so fast that we barely got to know division two before we bounced all the way into division three. We dont really know our new signings, we dont really know the teams in this division and we are all guessing to a degree. Hopeful that we will again escape first time from this tier youd like to think that our resources, some pride, some pace and a decent striker and midfielders will be a catalyst to see off our opponents. However we cant and should not take anything for granted. The smart money seems to be on Portsmouth making a decent fist of it; there is bound to be a surprise team but you would surely expect SAFC, at the very least, to be challenging in the top 6. Youd like to think that at least a play off place would be achievable. The smart money may also be on Sunderland AFC making a slow start. We arent used to winning. Does an atmosphere of defeatism still hang over the club? What legacy is left of 2 torrid years? Will a totally revamped squad settle in quickly or will it be like 1987/88; a slow burn start that builds into eventual success? We start with Charlton Athletic at home on saturday. A game not to be taken lightly but also a game not to be feared. A bit of confidence, an early goal, a good home record and the backing once more of some of the most outrageously loyal fans in world football will hopefully see us smiling come 4 May 2019, as we walk out of Roots Hall. By that time another chapter in the topsy turvy history of Sunderland AFC will have been written and closed. Hopefully it will have a happy ending, just like 30 years ago. Best of luck Sunderland and play well. Here’s hoping. And so the curtain fell on the 21st FIFA World Cup. From humble beginnings in the 1930 heat and sweat of Montivedeo, the latest version ended up in Moscow, the capital city of Russia. And what a tournament it turned out to be. Pre tournament fears, boasts and hype of crowd trouble proved to be unfounded as Vladamir Putin oversaw perhaps the best FIFA World Cup since 1986. Politics aside it was a triumph for the worlds biggest country by area. Despite the world cup being the biggest tournament on Planet Earth and its most popular sport, the tournaments can disappoint. Some end up pretty average; Italia 90 springs to mind, where an obsession with negativity and defence resulted in the backpass law being radically overhauled to encourage open and attacking play. Recent World Cups have flattered to deceive and the Brazil World Cup in 2014 saw the host team flop (certainly in the eyes of their fans). It started off wonderfully and then fizzled out. Germany deservedly took the crown. In Russia the tournament started well and never disappointed, particularly for the host nation, who came into it on a low; maligned by the Russian media. 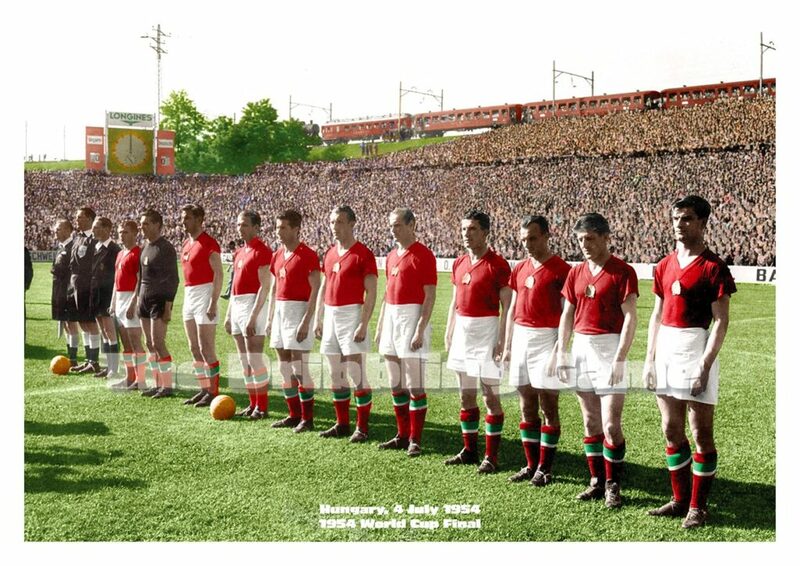 However the Russians needed have worried as their footballers put a smile on the faces of an entire nation and in doing so gained back any footballing respect that they thought they may have lost. Messi; disappointed again in the FIFA World Cup. Clearly an excellent player at club level and Argentina’s all time top scorer, this fact remains clear and steadfast; to be recognised as an all time great alongside Pele and Maradona, you have to win the FIFA World Cup. That is frankly not negotiable. At 31 Messi has perhaps one last World Cup to join his countryman and the majestic Brazilian. Football waits for its King and has done so since 1986 when Maradona emphatically won the tournament for Argentina. Messi remains firmly in the ranks of the second tier of footballers alongside the likes of Puskas, Di Stefano, Cruyff, Platini, Zidane and Beckenbauer. No mean feat but no cigar. France; winners, deservedly so and the most adaptable team in the tournament. You dont win the FIFA World Cup by default and in the hardest part of the draw they took on all and sundry and won. When they needed to defend, as they hung on against Belgium, they did and when they were asked to attack and score, they did; four goals in the world cup final emphatically convinced us all of that. Mbappe; destined to be football’s new king, alongside Pele and Maradona? We shall see. To get to that level takes immense skill, huge influence, determination to win, and the 19 year old showed us in Russia that he perhaps has what it takes to get to that level. But lets just enjoy the lad for now. Lets not heap pressure on him. His displays of raw power and speed were a joy to watch. We will see him again in 4 years time but for now we can also enjoy him in the UEFA Champions League, arguably club football’s biggest prize. VAR; FIFA were brave enough to embrace technology and in doing so added to the enjoyment. Whilst some bemoaned that technology might stifle one of the best things about the game, controversy, it perhaps did nothing of the sort. The technology was embraced by football fans across the globe and we still argued about some of the decisions, none more so than the hand ball in the final by an unfortunate Croatian. The technology will evolve but so far how about 7 out of 10? FIFA World Cup wise we move on to Qatar in 2022. Will it disappoint or will it surpass all expectations? We will see. At the end of it all what can we say? I have seen every FIFA World Cup since 1966 and in my opinion Pele and Maradona remain the two greatest football players ever; The Kings Of Football. Because of their influence on the 1970 and 1986 World Cups in Mexico, the North American country can still boast that they hosted the two greatest world cups ever. The 1970 Brazilians ARE and remain the greatest team ever to play The Beautiful Game. Maradona winning the world cup for Argentina, almost single handedly, in 1986 remains the greatest feat ever by an individual football player. Both players were immortalised through those tournaments and are revered to this day. The FIFA World Cup is the ultimate, its where its at and it is the pinnacle of the game of association football. Its now 32 years since we saw our last King Of Football; modern day wise we are still Waiting For The King. However back to the present. Well done Russia, well done England and for once, well done FIFA. Football almost came home. Perhaps in Qatar it will.